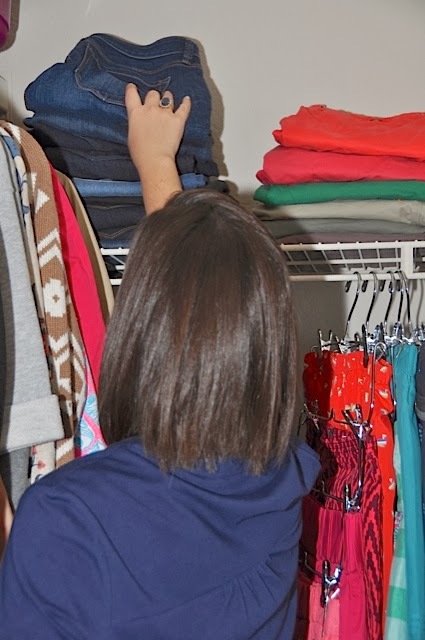 Friends, it has taken awhile for me to pull all my tips together for organizing your closet- because there are so many ways! 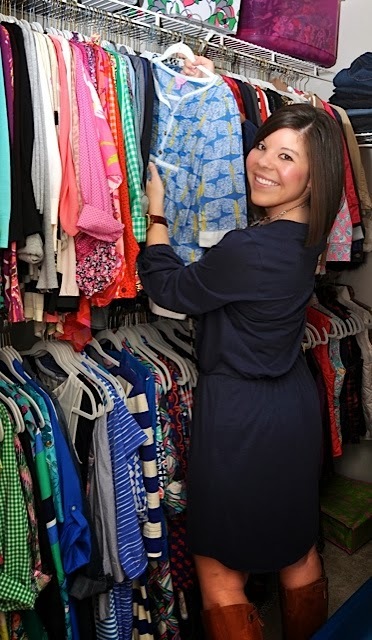 I’m excited to share my closet with you today and I hope that this at least gives you some ideas to make yours a little more orderly. 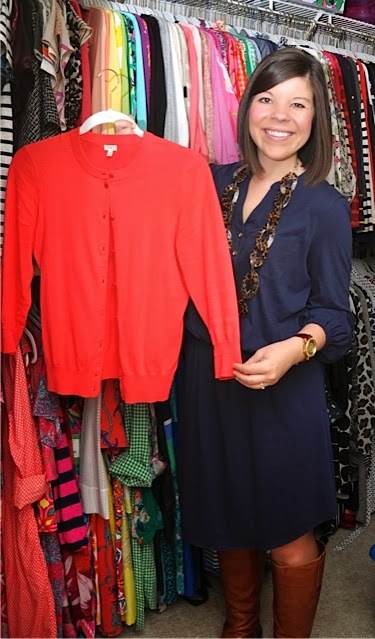 It seems fitting that as we prepare for spring, many of us are turning our attention to our closets and ways to make that part of our lives easier! 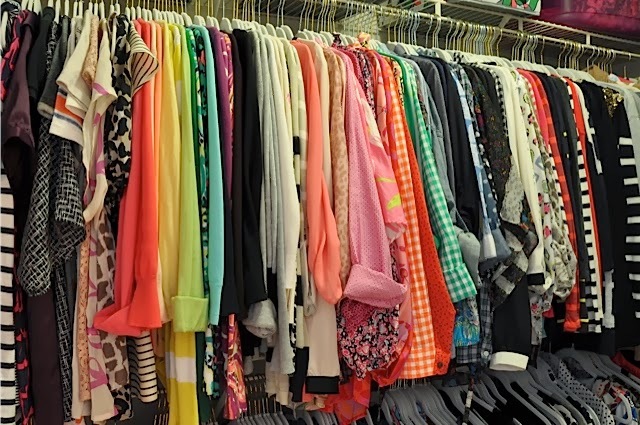 Nothing is worse than running late in the morning and not being able to find the pieces you need because your closet is a mess! 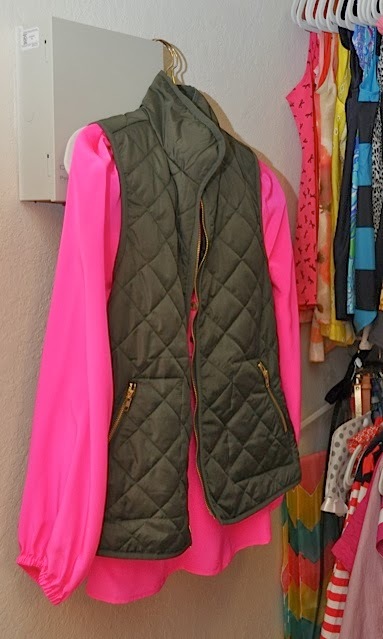 Well ladies, let’s clean up those closets shall we?! This is the best snapshot I could manage of the closet in full… I am spoiled that my new apartment has such a big space for me to store everything! 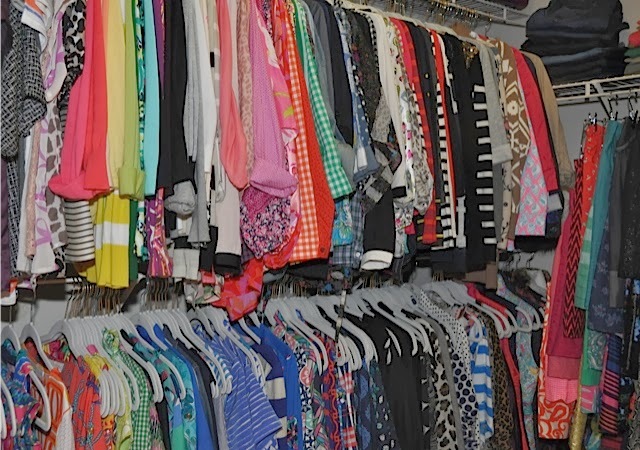 It’s one heck of a walk-in closet! The basic of my system is two-fold: 1) I organize by item (top, dress, outerwear) and then subdivide by features (for tops it’s sleeveless, short sleeve, and long sleeve) 2) I then color-code within each section by the system we all learned in elementary school art class- ROY-G-BIV (Red, Orange, Yellow, Green, Blue, Indigo, Violet, and then I added Black, Gray, White, Brown on the end). 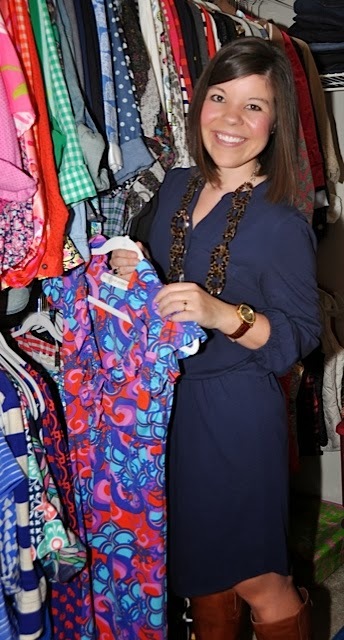 Dresses are my absolute weakness… It’s only fitting that I have more of them in my closet than anything else! 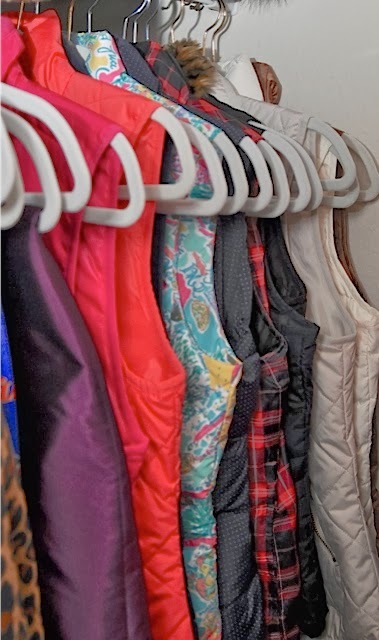 The other corner of my closet holds my skirts (also in order of color), shorts, and the top shelf holds my jeans and pants. I hope that these tips gave you some inspiration for your own space. Remember that it is ok for it to be a work in progress, it take time (and trial and error) to find the system that is best for your life. Thank you! 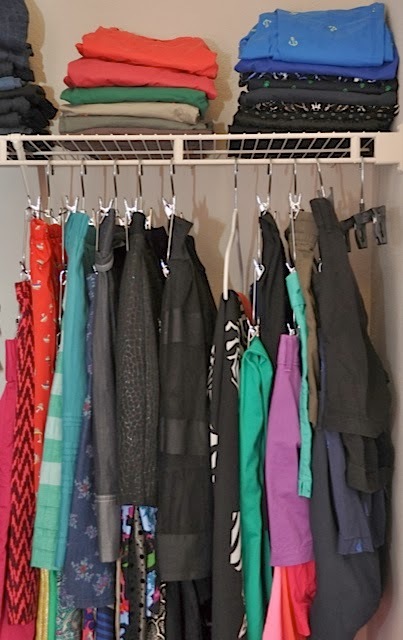 It does save time (once it's all organized)! Thank you! Yes it is always fun to get ideas!